In the looking-glass world of Greek debt politics, everything changes from one year to the next and everything stays the same. Consider the snap election that takes place on September 20, hard on the heels of the country’s third financial rescue in five years. 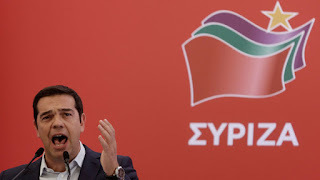 Latest opinion polls indicate that Alexis Tsipras, the leader of the leftwing Syriza party and former prime minister who triggered the election in a bid to strengthen his grip on power, is at risk of defeat. Yet will it matter? Whatever the result, the ravaged economy will remain suffocated by the same fog of illusions that enshrouds relations with its creditors. Everything changed when Syriza took office in January on a wave of support for overturning the orthodoxies of eurozone financial and economic policy. After months of helter-skelter rule, and after breaking with his party’s dogmatic ultra-leftist faction, Mr Tsipras still finds it hard to suppress his distaste for these orthodoxies. Yet everything is the same because Syriza signed up in July for a €86bn bailout from its European creditors. The government accepted a trade-off between financial aid and internationally supervised domestic reform — just as its centre-left, technocratic and centre-right predecessors did between 2010 and 2014. Mr Tsipras even relied on the parliamentary support of his centre-left and centre-right adversaries to legitimise the bailout. Hard-pressed Greeks can be excused for asking why it is necessary to elect a new parliament for the fifth time since October 2009, and what practical difference it will make to their lives if they vote for Syriza or any of its mainstream rivals.